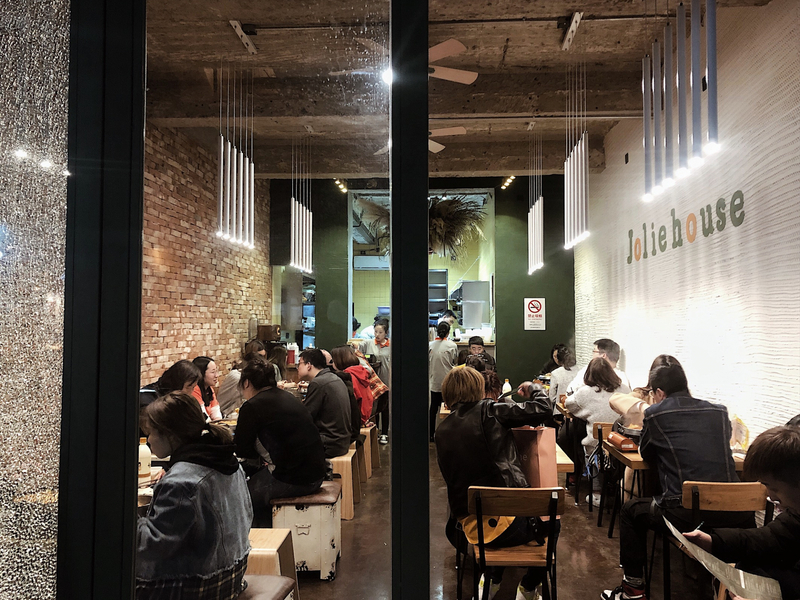 Since moving to Zhongshan park, Muji has been my favorite spot to dine in. 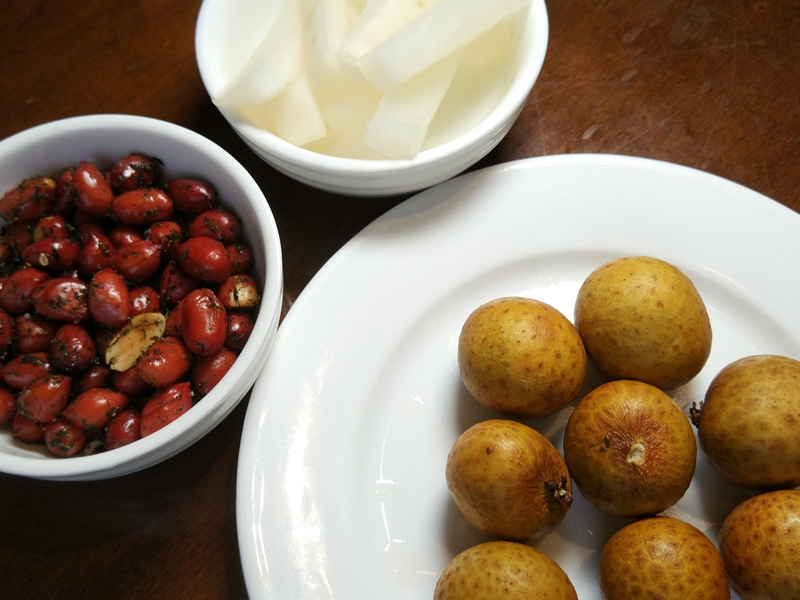 It’s simple, healthy, and delicious. The design is synonymous with the lifestyle brand, minimal and simple with wood furnishing. 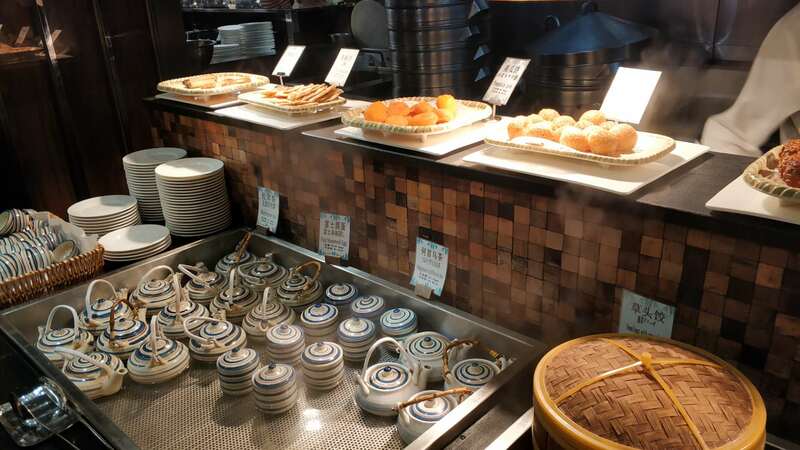 When you walk in you’ll see the display of different dishes for you to choose from. Order comes with simple instructions and 3 different combo of choices. I usually go with option 1, 2 hot dishes and 1 cold dish. I love all the salad they have, especially roasted pumpkin and quinoa salad. 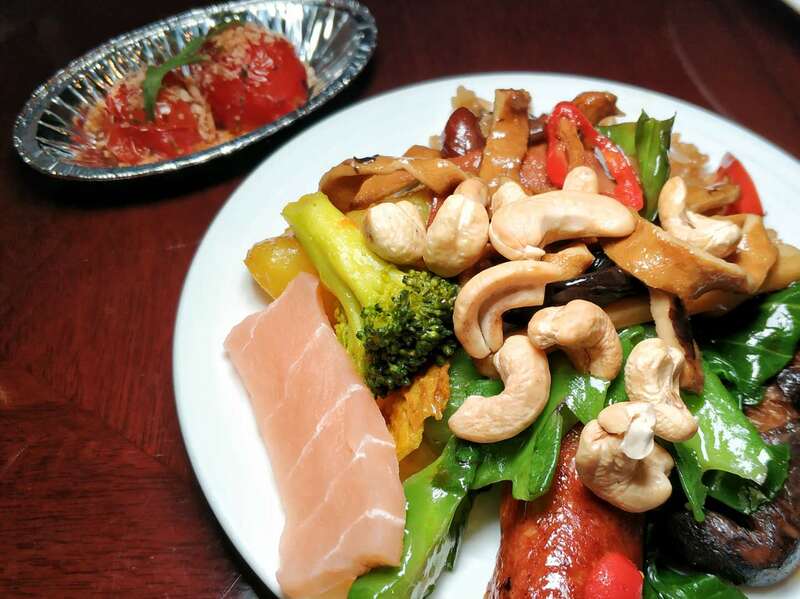 Most of the dishes they offer are perfectly balanced with meat and vegetables, for example bamboo shoots with tofu and pork, and stir fried beef fillet with black pepper and mushrooms. Everything tastes very homemade with necessary seasoning. I also love their rice options. I often went for the multi-grins, but white rice tastes as sweet and nutritious. 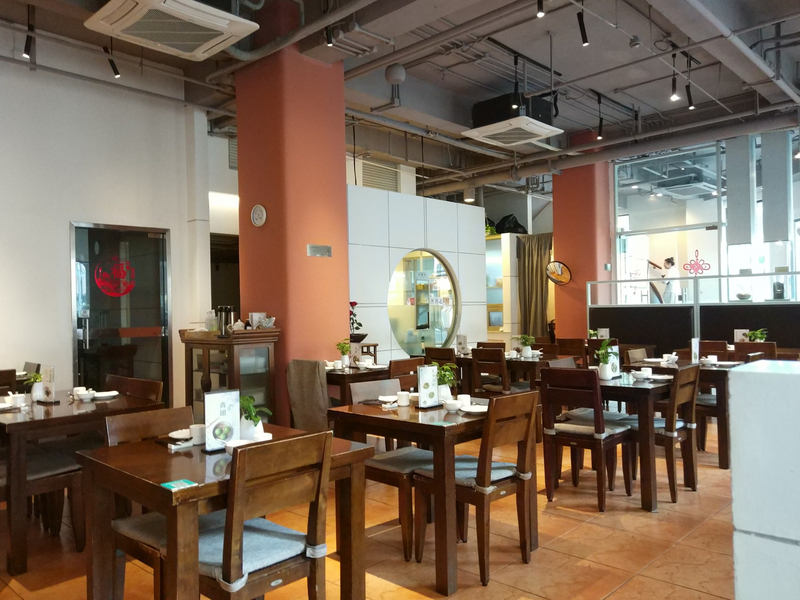 Located in the busiest mall in Zhongshan park, Muji cafe has a very relaxing ambience and comfy settings, lovely music and wooden scent. Highly recommended if you want a healthy and clean meal. 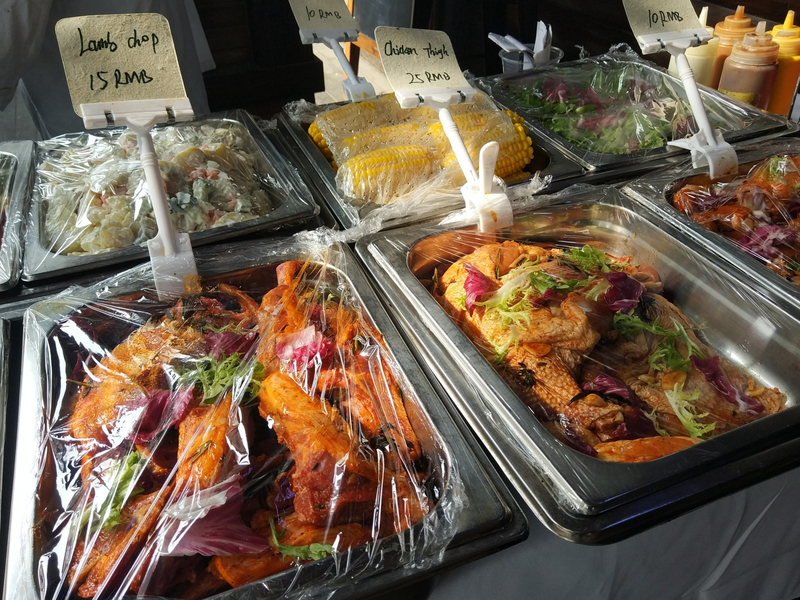 - Muji cafe offers simple and delicious food. 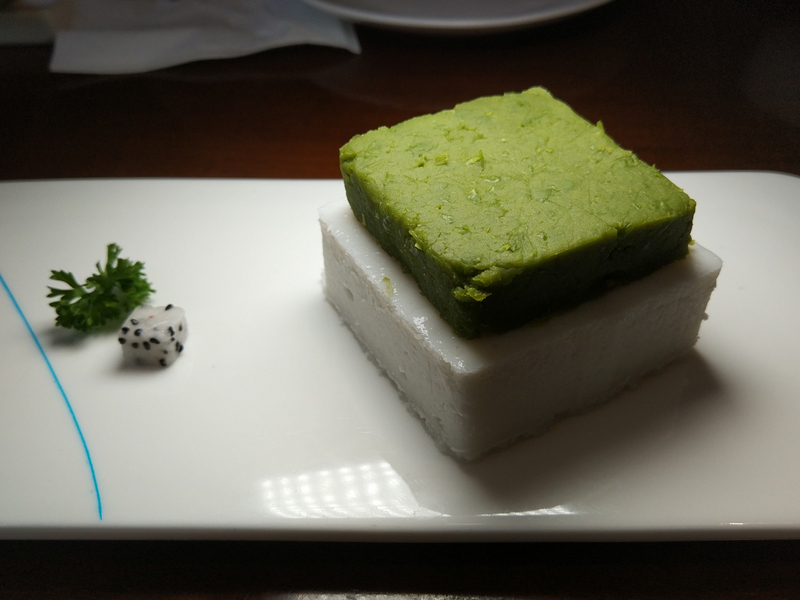 Great relaxing ambience with Japanese homemade dishes. I’ve walked by the RAC Bar many times, and even in a weekday afternoon, this place is packed. 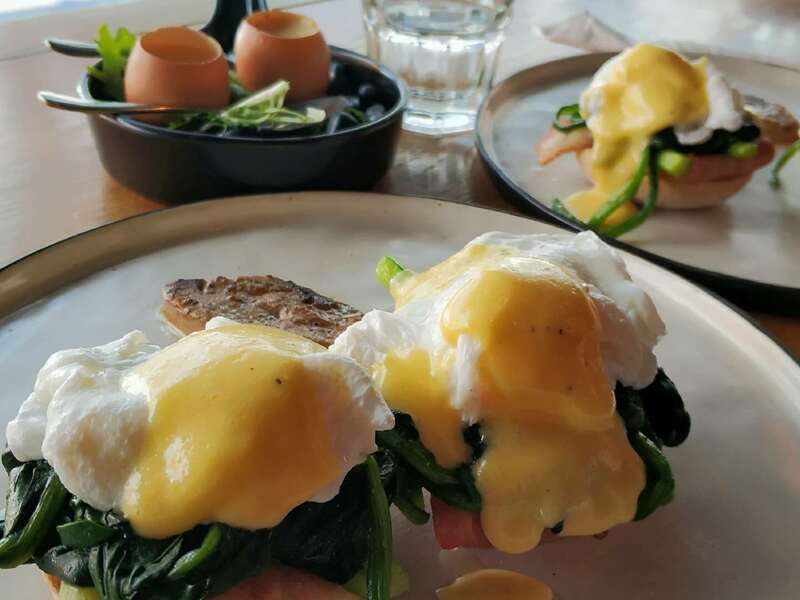 They serve delicious brunches and are known to serve amazing avocado toast, but you should definitely avoid going around noon on weekends as a bunch of other people will probably have the same idea as you, and the waitlist can be as long as 20+ tables with a wait time of over an hour. 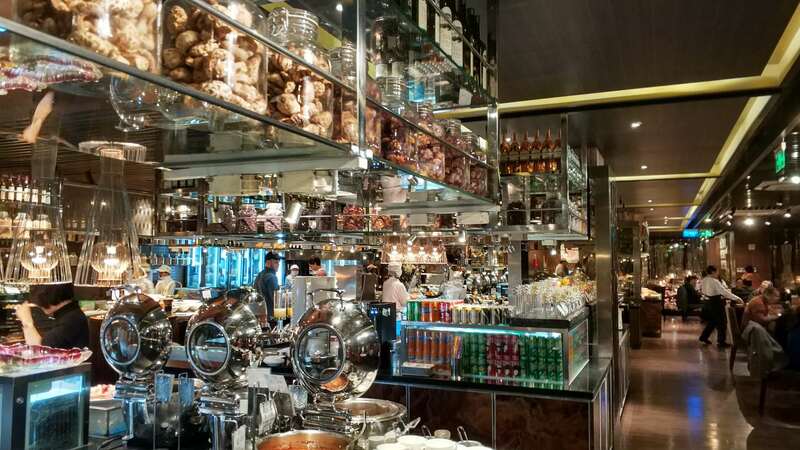 Finally, on a late weekend afternoon, when the line was relatively short, I decided to pop in for some brunch snacks. 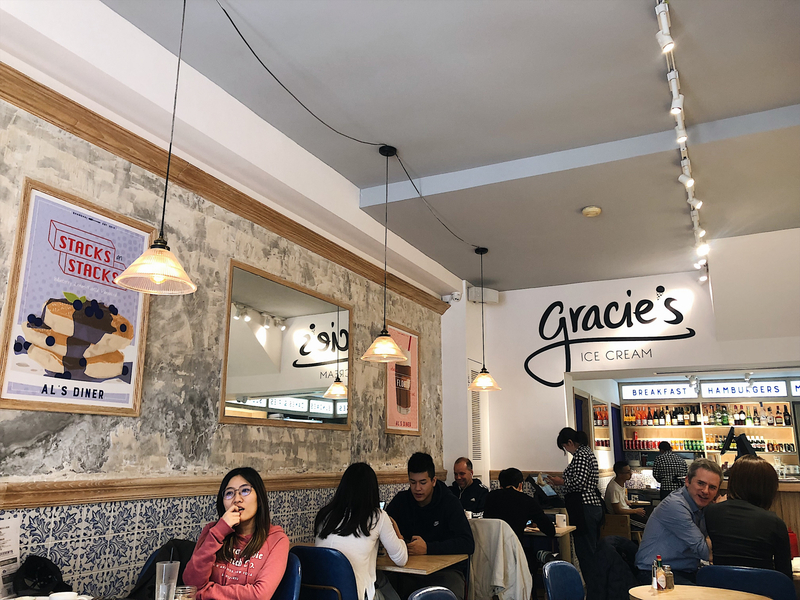 They have an indoors seating area along with an enlarged outdoors seating area with patio desks and chairs, which gets amble sunlight, making it perfect for a sunny day meal out. As there are always loads of people, the servers are super busy rushing around, so it might be hard to grab their attention. We ended up ordering the avocado toast and egg, and a bacon, egg & cheese bun, and waited quite a bit for the order to arrive. 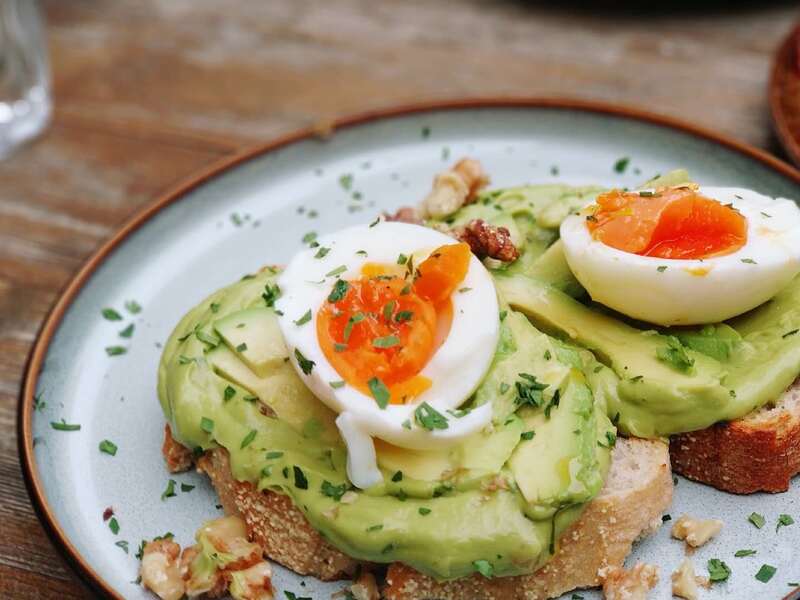 Fortunately, the avocado toast has lived up to its name: rich with a bottom layering of guacamole and a top layer of fresh pieces of avocado, topped with a soft yolk egg; it tastes just as amazing as it looks! 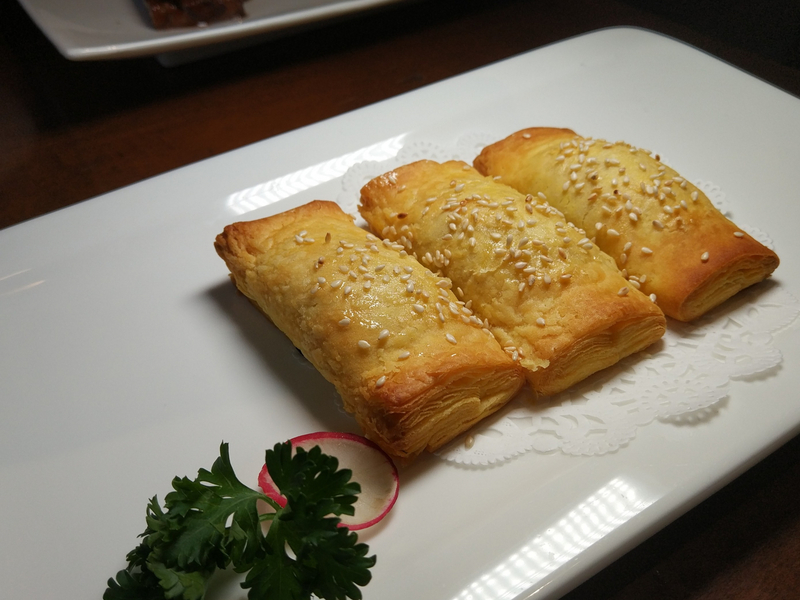 The bun sandwich was also superb as the buns carried a delicious buttery aroma and the bacon inside was fried to the perfect texture. 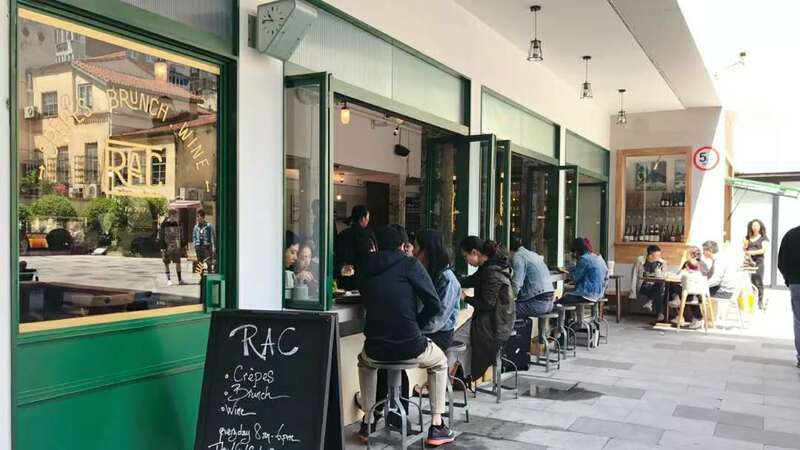 The RAC Bar is a spot-on brunch place if you’re willing to bear for the sometimes drudgingly long wait for the amazing food. It’s family-friendly, date-friendly, and even pet-friendly. The chic décor also draws a lot of people to capture the perfect Instagram moments. 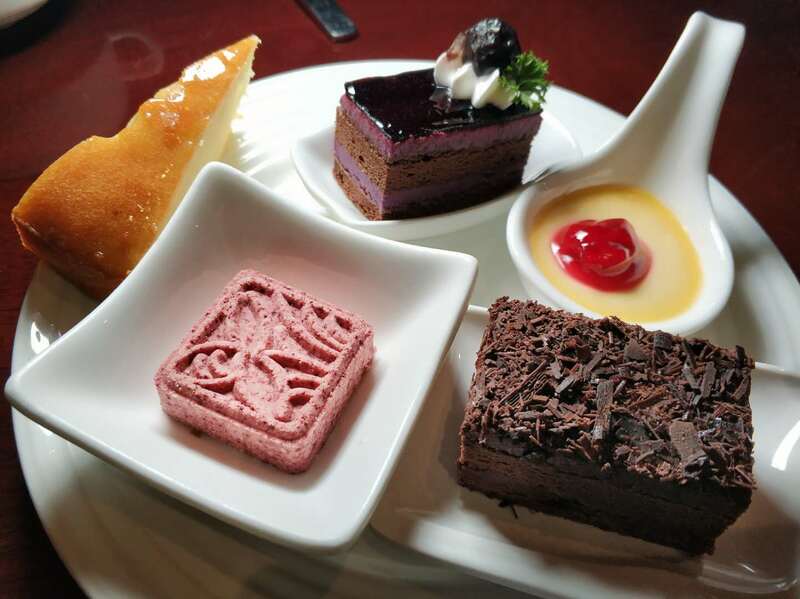 Coffee with a light meal rounds out to cost about 100 rmb per person. Here's the thing about the food at Grand Yard: it is massively, proudly, extremely unremarkable. 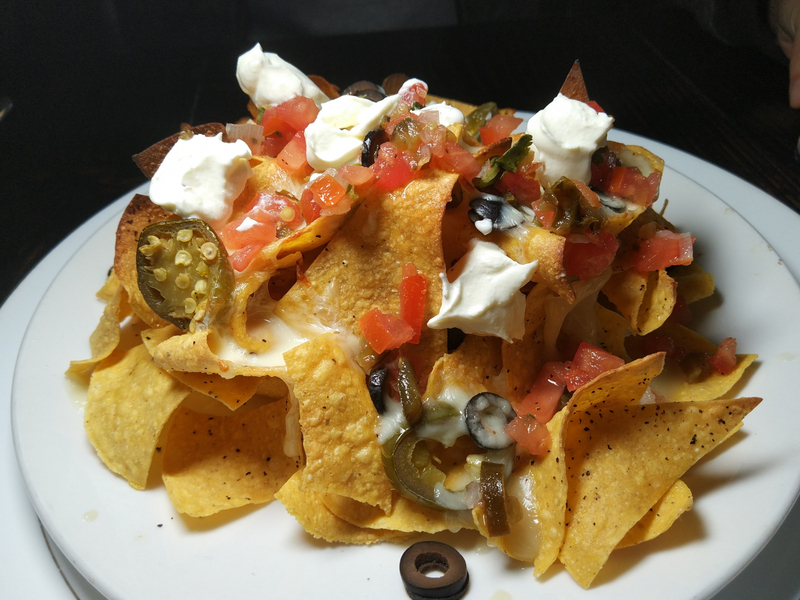 It's expat sports bar food...think wings, nachos, burgers, etc. 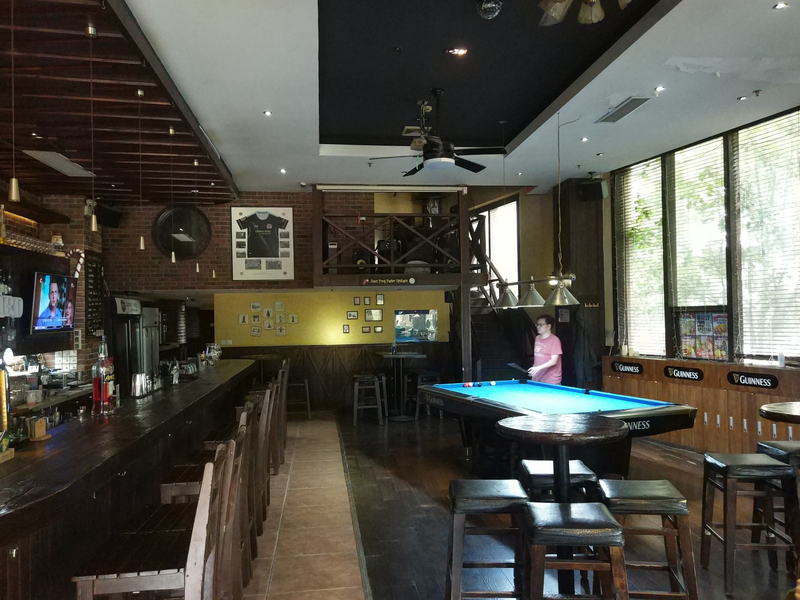 I wouldn't normally go to Grand Yard because I love the food - it's more of a place to hang out, play pool, grab a drink and enjoy the nice terrace. There's always a good buzz of very serious guys playing pool (they're the kind that bring their own cues and gloves) and the music is a pleasing mix (to me) of 90s and 00s alt rock (RHCP, Sublime). It's the only animal of its kind for the neighborhood, so that helps the business I'm sure. 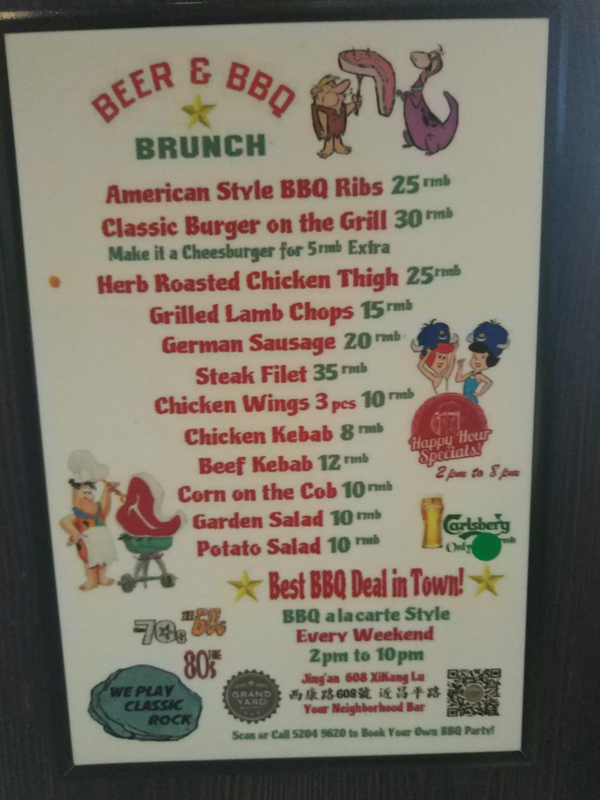 Everything I said above about the food changes on the weekend, because on the weekends Grand Yard does its BBQ brunch event, and it's suddenly like they forgot that restaurants need a profitable margin to do business. ...all freshly bbq'qed to order. Whaaaat? We can't possibly be in Shanghai anymore. 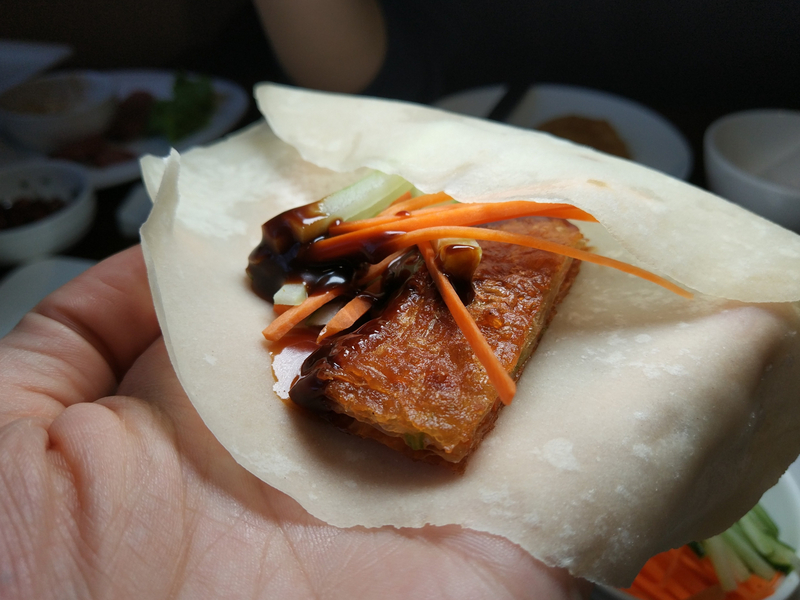 The food is too tasty, at too low of a price, to possibly make me believe we're in Shanghai. How do you make money with 15 CNY lamb chops? Whatever, I don't care. I'm just keep eating them every weekend until the price goes up, or the restaurant goes out of business from not making any money. 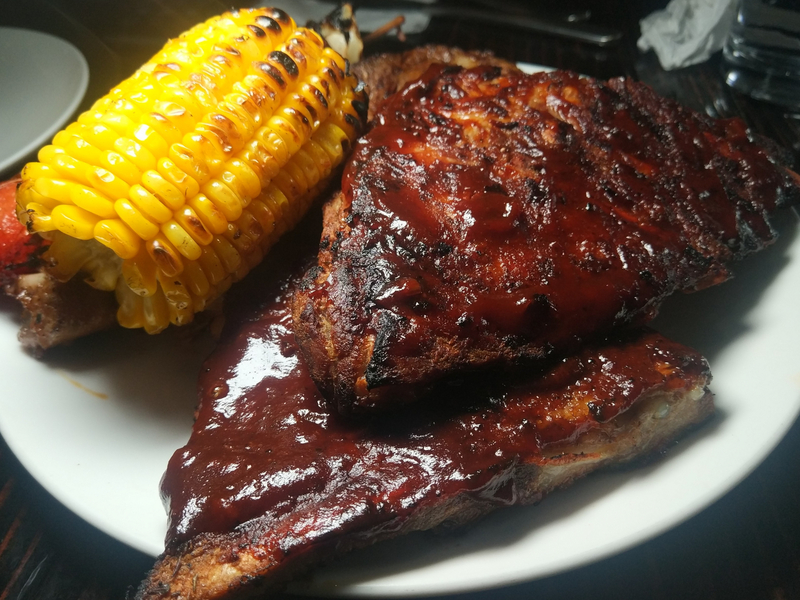 The chops are juicy and well seasoned, the chicken thighs are smoky, tangy, and well herbed, the cheeseburgers are nostalgia backyard BBQ flavor, and the pork ribs are covered in a tangy spicy sauce that makes up for the fact that they're usually a teensy bit tough. 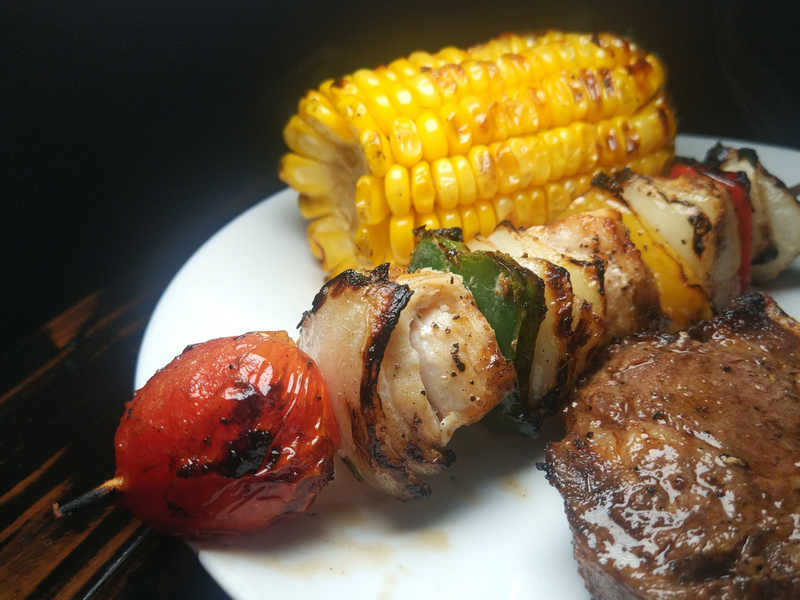 The kebabs and corn on the cob aren't joking around either (chicken kebabs better than the beef, which are kind of chewy). There's even potato salad. 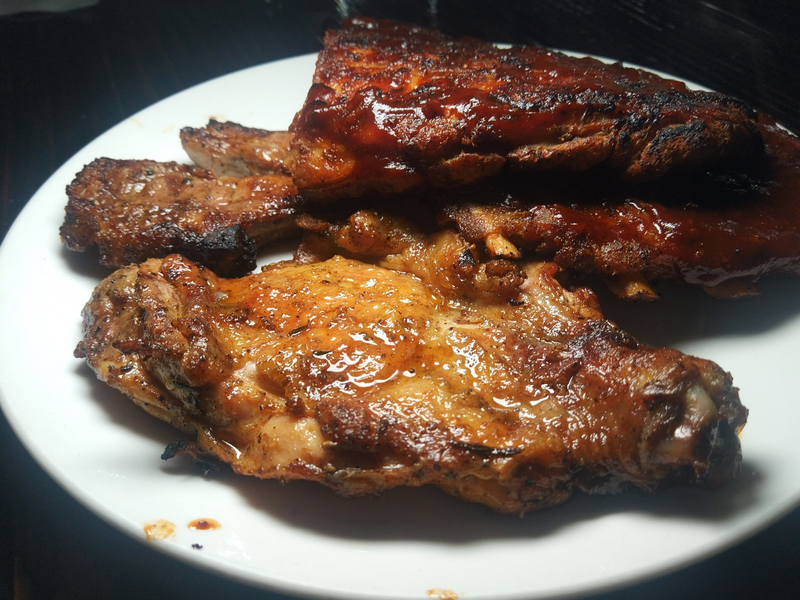 If price is of no concern to you, then know that iit's not the best BBQ in town. Take your hundreds of RMB elsewhere. But at this price point, it's far and away the city champion. 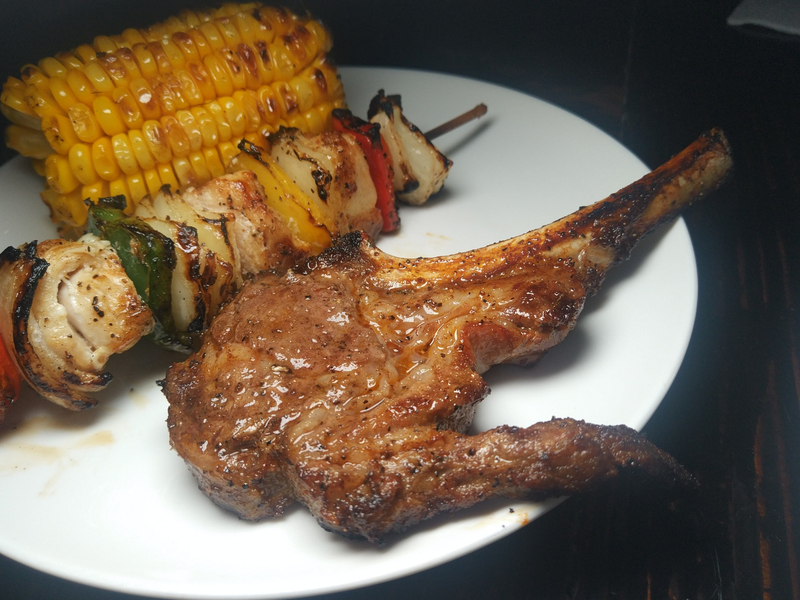 On my last visit, we ordered 2x lamb chops, 2x ribs, 1x chicken thigh, corn, and a chicken kebab for 123 RMB. The nachos in my picture were ordered because I felt like nachos. For 65 RMB, they were alright. 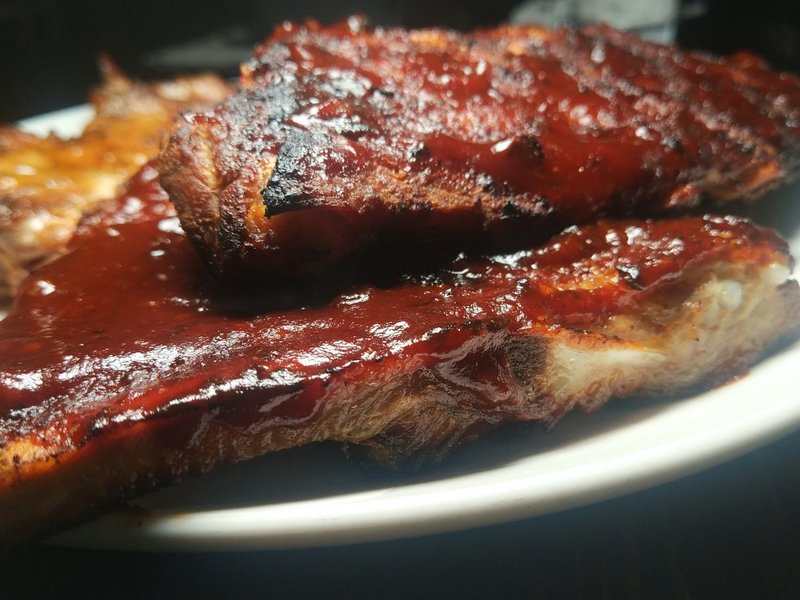 Don't go for the nachos, go for the BBQ. See you next weekend. 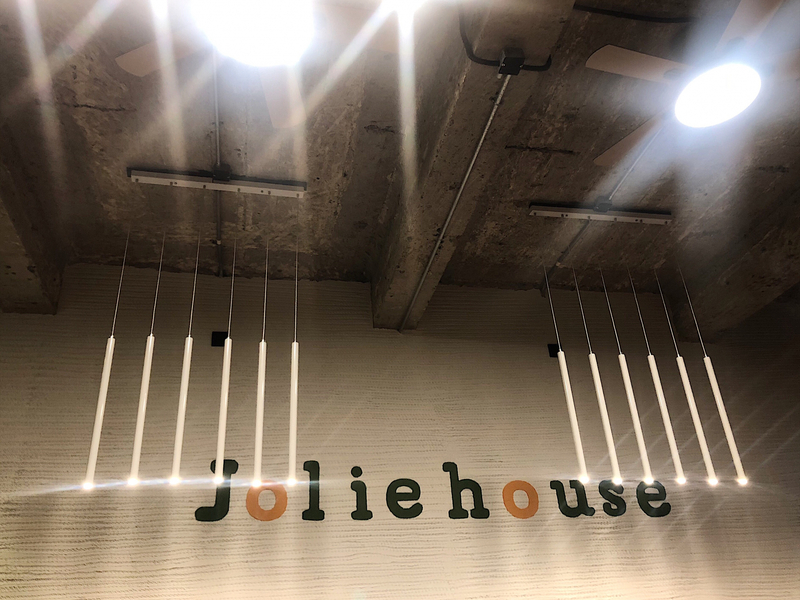 Joliehouse just opened and I was pretty excited to try. 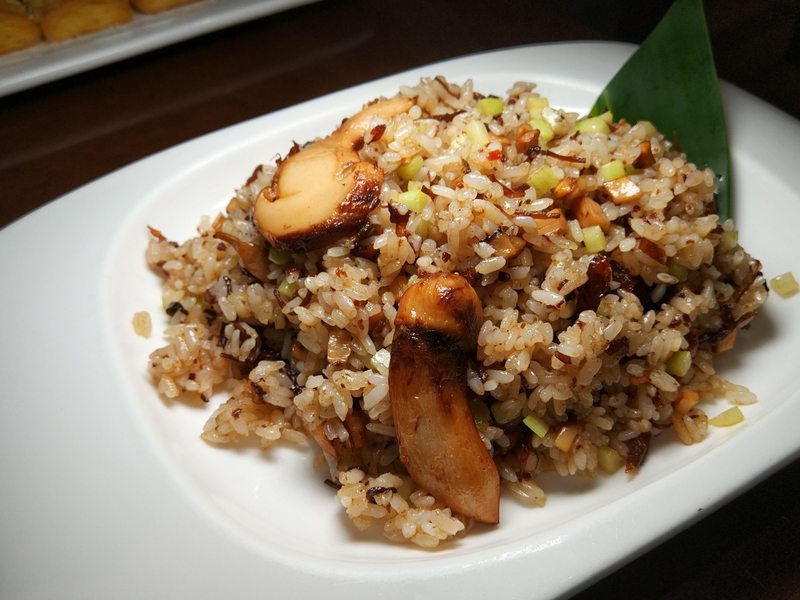 Located on Fuming road, the restaurant is small but bright enough to be found. It’s very clean and has a homey homey atmosphere with the space decked out in wood and old tiles on the wall. We went there on a Sunday night and still waited for a good 10 minutes. 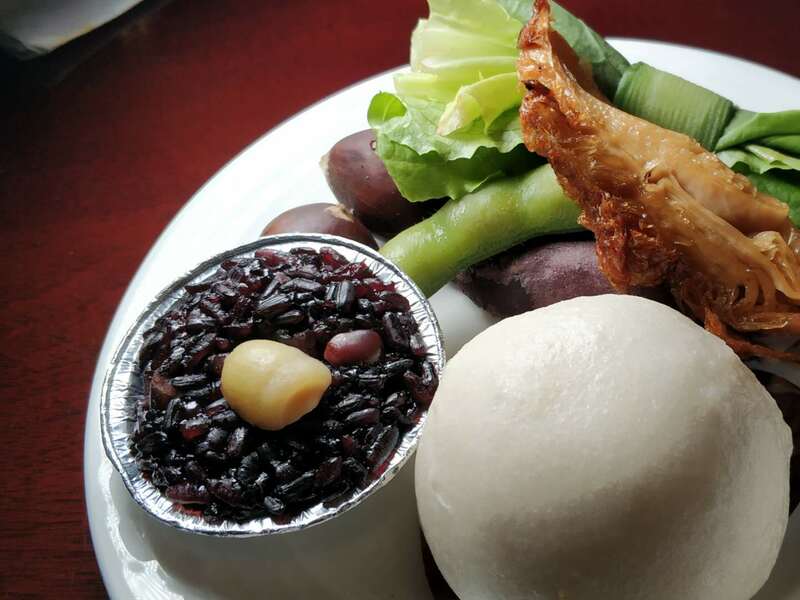 The Chinese name of the restaurant translates to “A stew”, which explains why most people order the army stew. While it looks delicious, the portion is way too big for two. My friend and I went for Jolie bibimbap and beef ramen noodles. 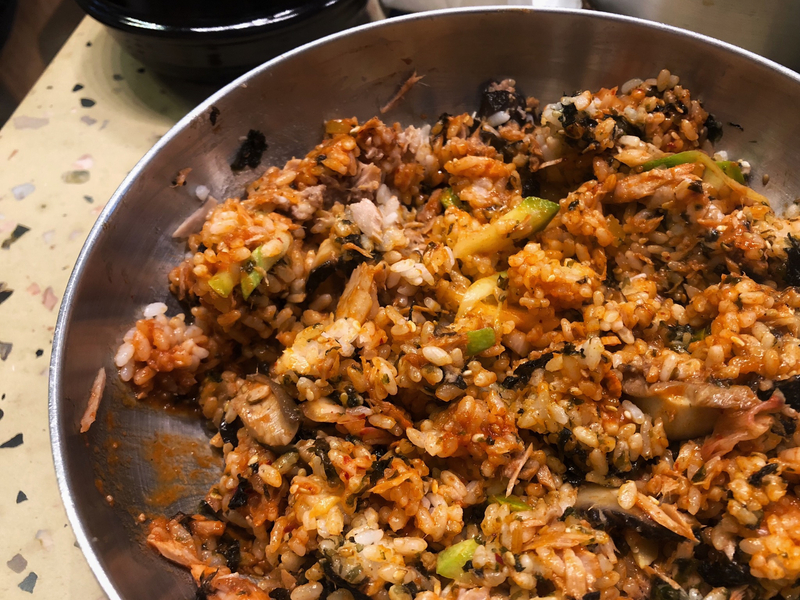 Bibimbap is a common and classic dish from Korea. I adore the simplicity of the dish and it just can’t goes wrong. 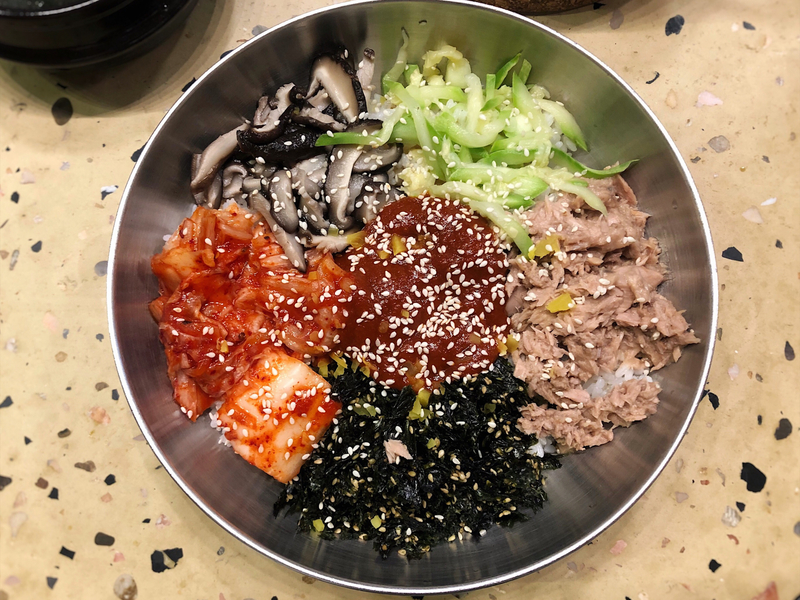 Jolie’s version served in a bowl with steam sticky white with kimchi, vegetables, mushrooms, tuna, crispy seaweed, and red chili pepper paste to spice up the flavor. 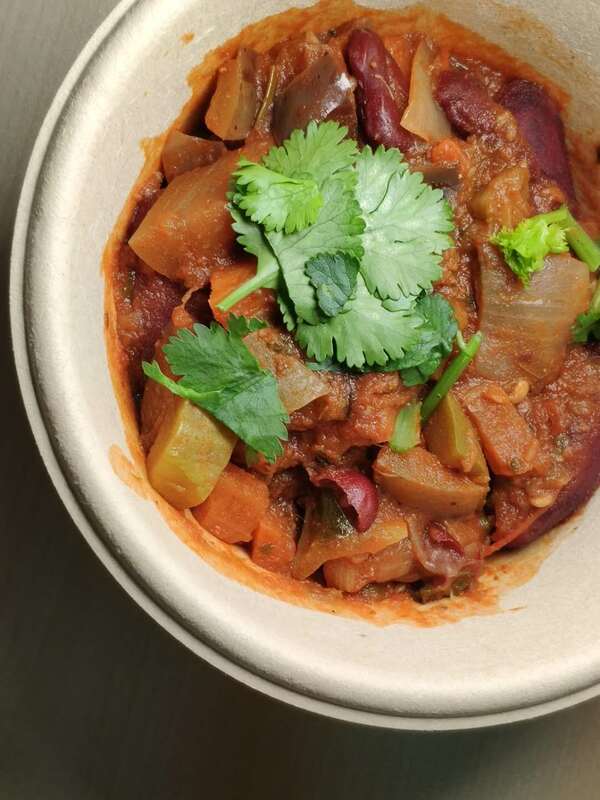 It’s sweet, spicy and with a bit of crunch with mixed vegetables. 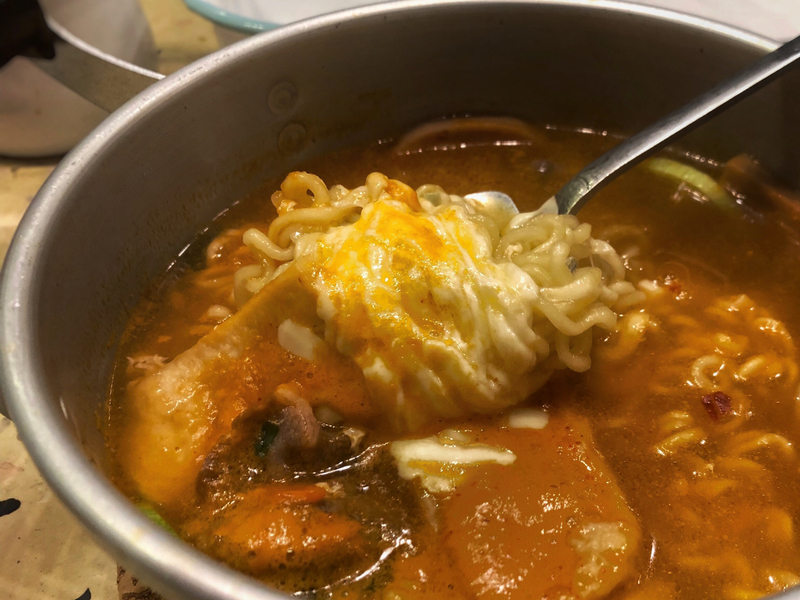 Spicy stew with kimchi, spam, ramen noodles, rice cakes and slice of cheese on top, the beef ramen is warm and quite spicy. While it could definitely have been better as the broth tasted like it was made from the instant-noodle spices. 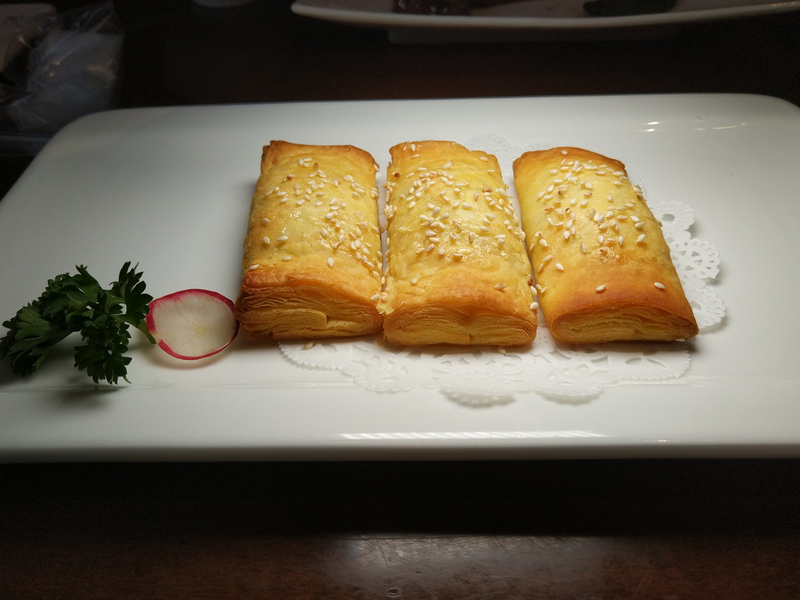 Price is very affordable and good for a quick lunch, while all dishes come in big and would be perfect to go with couple of friends to share too. 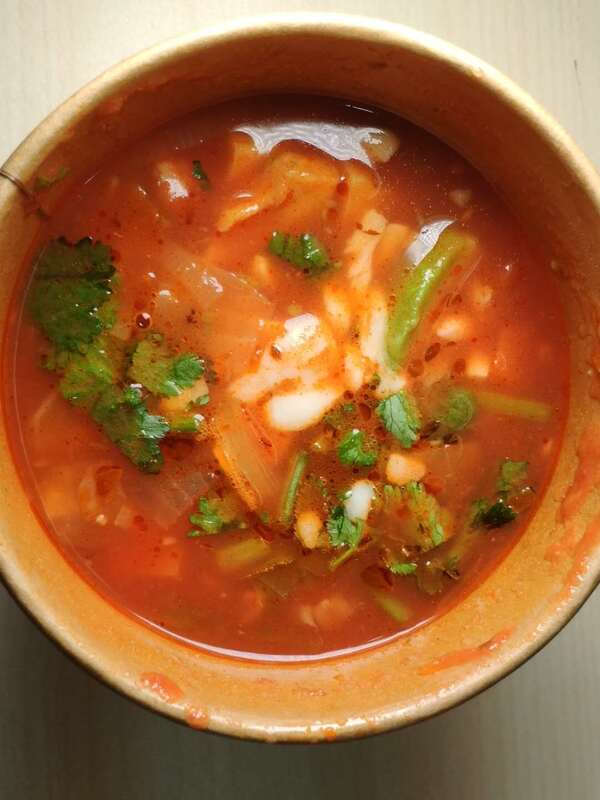 - Joliehouse offers classic Korean cuisines and is famous for its army stew. A great place for easy meals alone, as well as causal dates with friends. 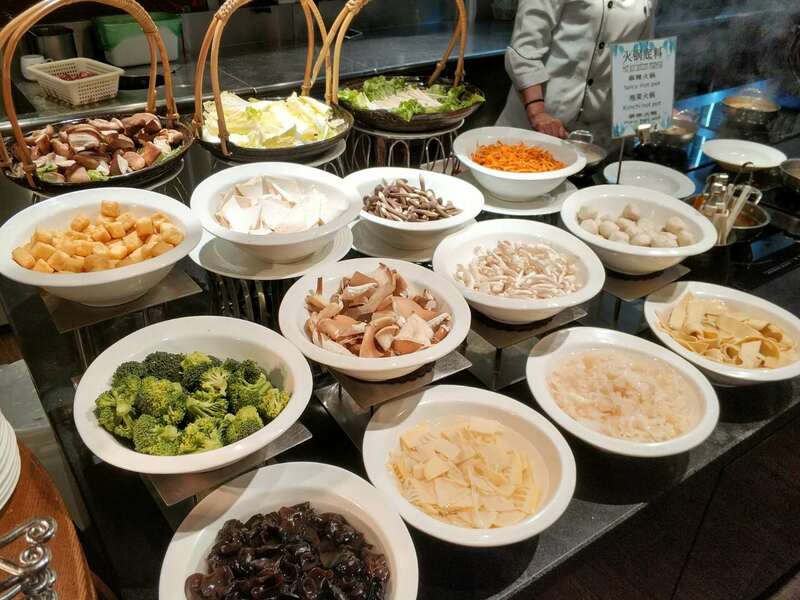 A vegetarian buffet in the heart of Jing’an, Jen Dow is a great place for vegetarians to dig in, and for non-vegetarians who are just looking for a healthier meal. 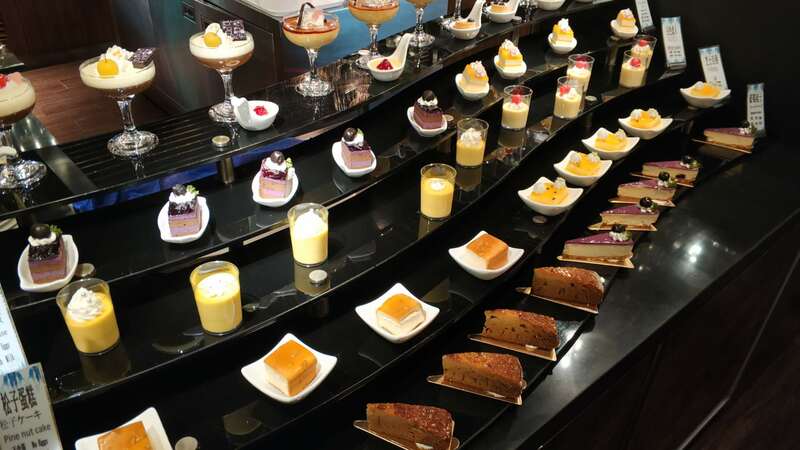 The buffet is located on the 3rd floor of the building, and they have a wide variety of options ranging from sushi bars, dim sums, veggie trays, DIY mini hotpots, and of course, desert (with the added bonuses of a chocolate fondue and an ice cream bar). I came on a weekday night so it wasn’t that crowded, although it is suggested that you reserve a place ahead of time. The exterior of the place didn’t look too promising but the buffet area is large and full of hidden surprises. For starters, this place serves mushroom flavoured tea, which is something I’ve never tried before, and didn’t expect myself to like, but I was surprised by the pleasant aroma and aftertaste of this peculiar drink. 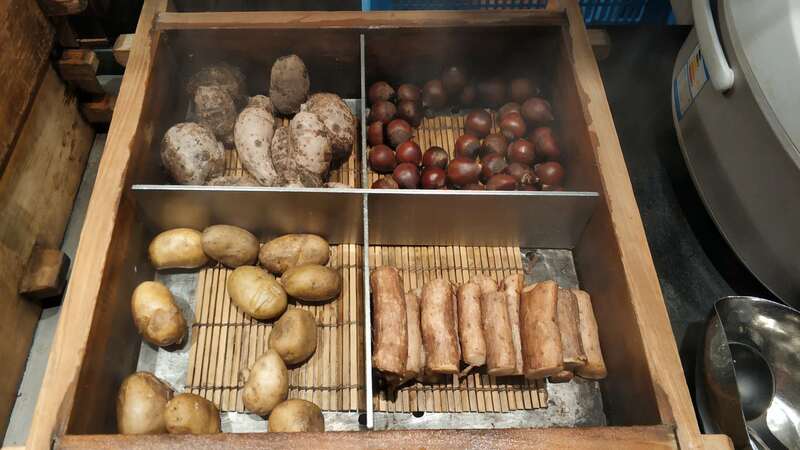 The main courses tasted good but weren’t particularly notable as there’s only so many ways you can cook vegetables and dress up veggies into “make believe meat,” as they did with the sausage and what looked like chicken. The dim sum booth was great as they had a wide variety of treats, but the sushi bar was lacklustre to say the least, as there wasn’t much sushi displayed, and the ones displayed did not look the least bit appealing. 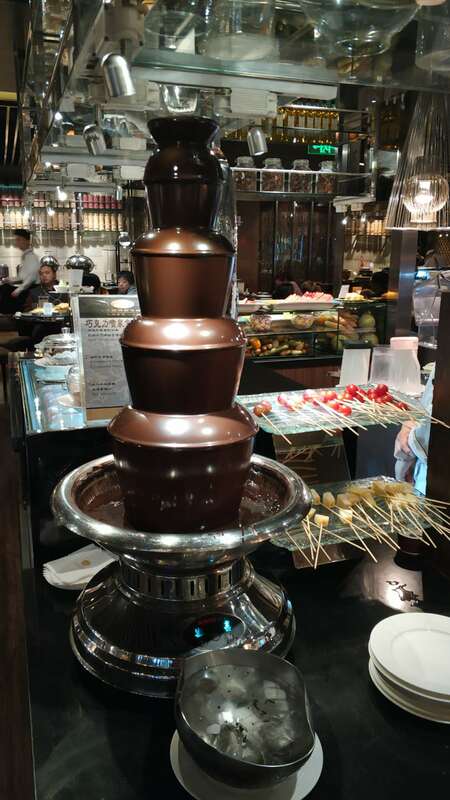 I have nothing bad to say about desserts though as they both looked and tasted great, though the fondue was a bit underwhelming. Overall, Jen Dow is great for a catching up with friends or a large gathering with family as it’s fairly quiet and has a nice vibe. The buffet dinner goes for 198/person which is reasonable. 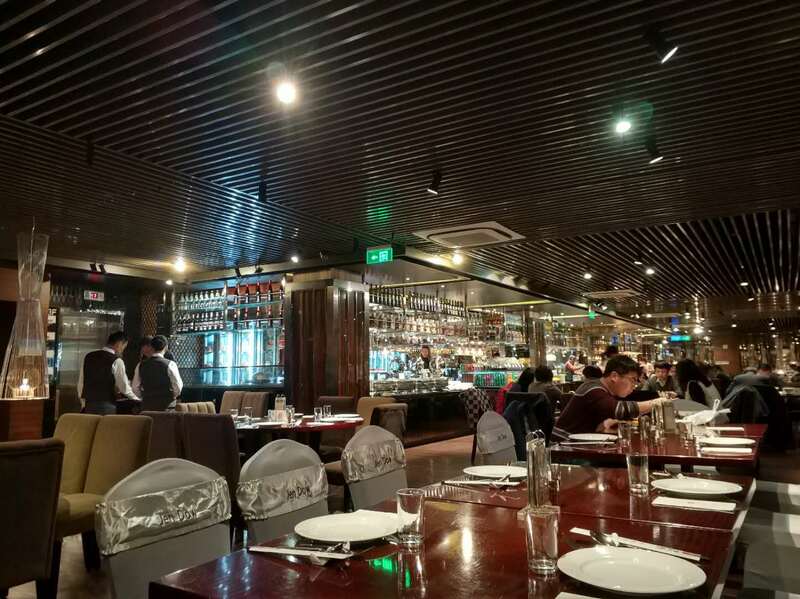 My vegetarian friend found the place delightful but as a non-vegetarian, I probably won’t be making another trip here as there are far more other options for me out in Shanghai. 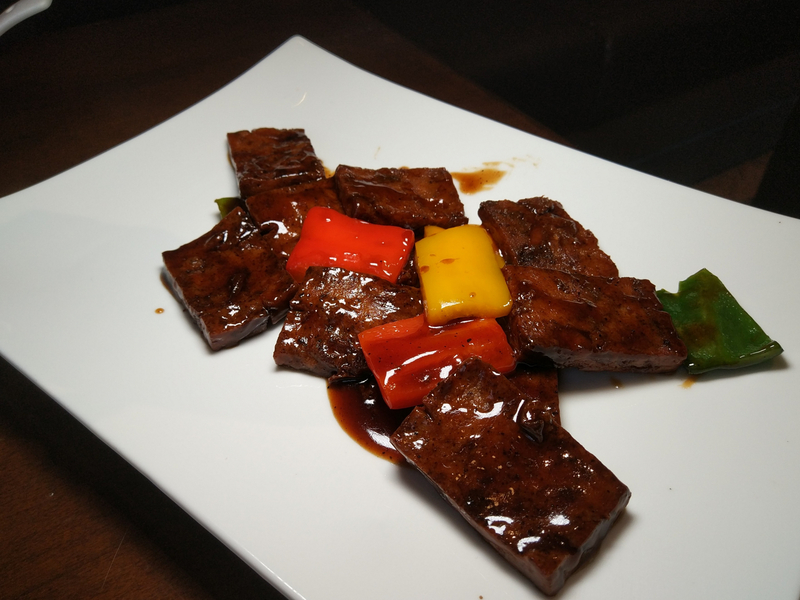 Vegetarian black pepper beef - Another standpoint. I'd come back just for this dish. The 'beef' was made out of soy product and mushrooms I think, and the mouthfeel was chewy, toothy and very satisfying. 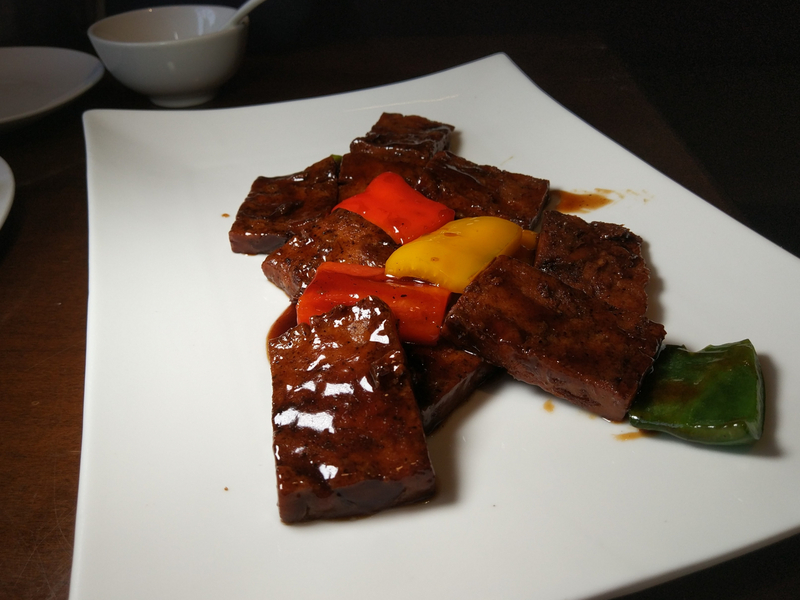 The black pepper sauce was well seasoned and the overall impression was of eating a very tender piece of beef, complete with some muscle fibers (mushrooms I think). 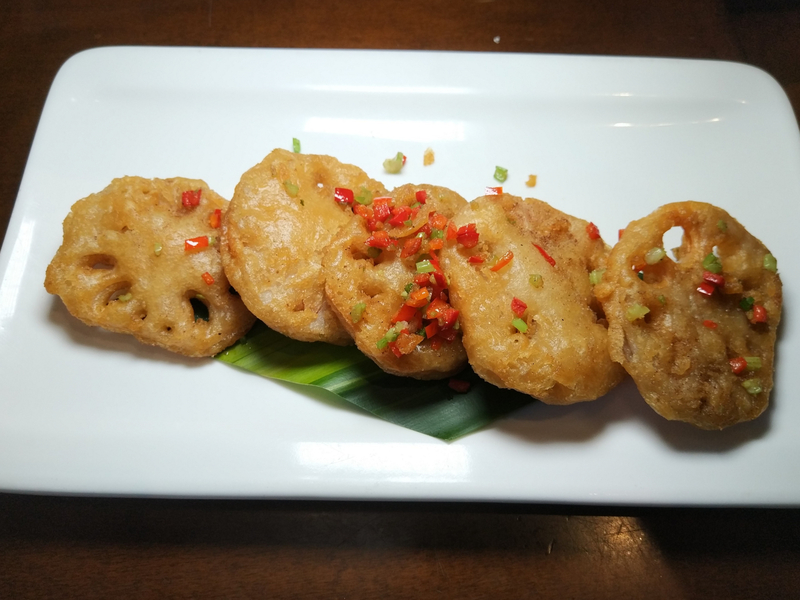 This is the kind of dish to convince a meat-lover to enjoy a vegetarian restaurant. Portion size was a bit small for the price, considering there was no actual beef in there. So overall, felt like the meat substitute dishes really brought it (except for the Beijing duck) and pure veg dishes were lacking (except for the rice). Final check for two was 321 CNY, which is fine, but high-ish considering meat should usually have the highest cost to the restaurant. I'd come back and order what I know to be good, but feel like I'd be gambling as I branch out into the rest of the menu. Final verdict, a weak 4 stars (like 3.6 or something). It was a beautiful Sunday and I was craving for pancakes. Al’s diner was crazy packed as usual. But we managed to get a seat. The place was very cute yet small, making it hard for waiters to walk around without touching you. Since it’s with the all day breakfast concept, we ordered a pancake, purgatory eggs, and a cup of vanilla milk shake. 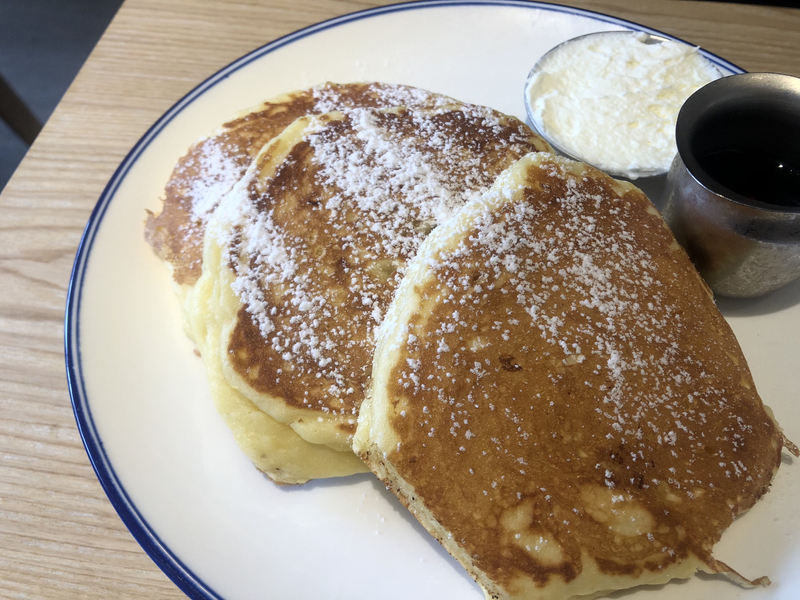 Served with powder sugar on top and syrup on the side, I couldn’t denied the fact that pancakes were rich and fluffy, but it almost tasted like your ordinary made at home pancake. Good enough to eat but not very sensational. On the menu they put “hellalicious” next to the purgatory eggs, but was it though? All I can tell you is that it was not what I imagined. 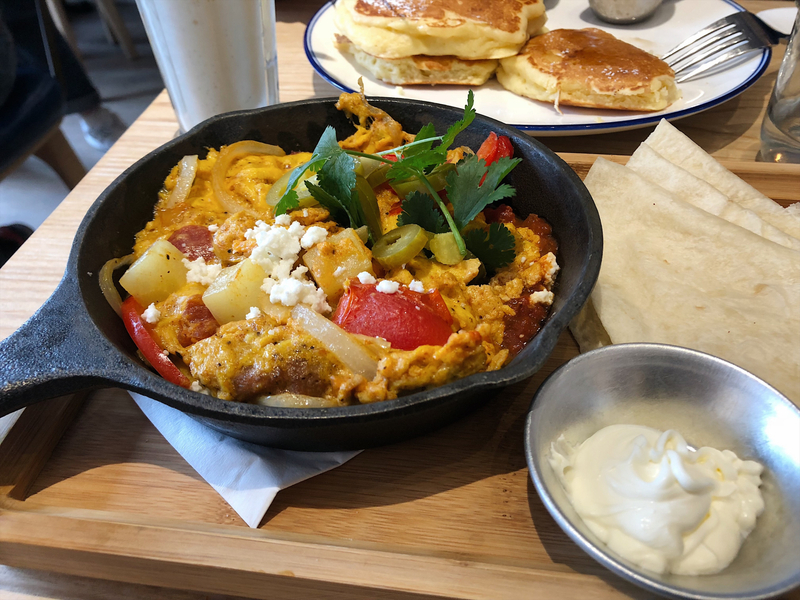 I was expecting poached eggs in the rich and well seasoned tomato base sauce, but it was more of a scrambled-egg-in-no-sauce situation. It wasn’t horrible and was actually well seasoned, yet I wasn’t impressed. 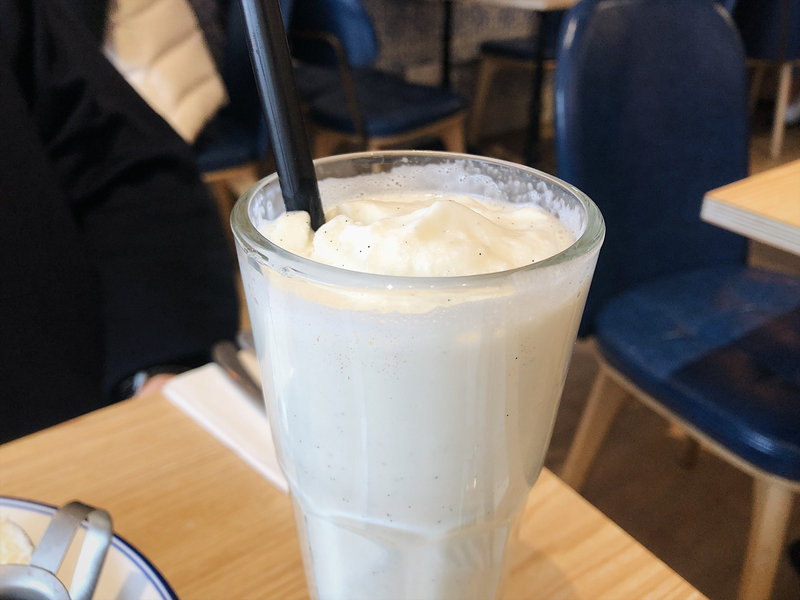 The vanilla milkshake literally tasted the same as a McDonald’s ice cream. The ambiance was nice and food was ok, but I wouldn’t come back again. At least not for pancakes. 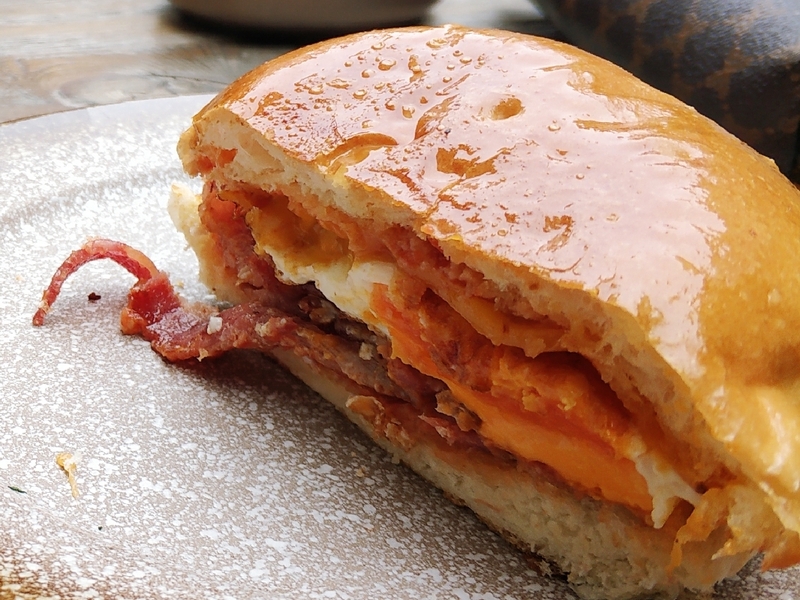 -Al’s diner serves all day breakfast with your classic and comfy food. And is famous for its fluffy pancake and ice cream. Hidden away near the Donghu strip, I’ve passed by this restaurant a number of times while it was still D’lish. Vegan and vegetarian food isn’t always my calling, but it was pretty crowded around noon for lunch, and the crowd were a mix of people who probably work in the area. There weren’t any available chairs in the small restaurant, but it wasn’t overcrowded. 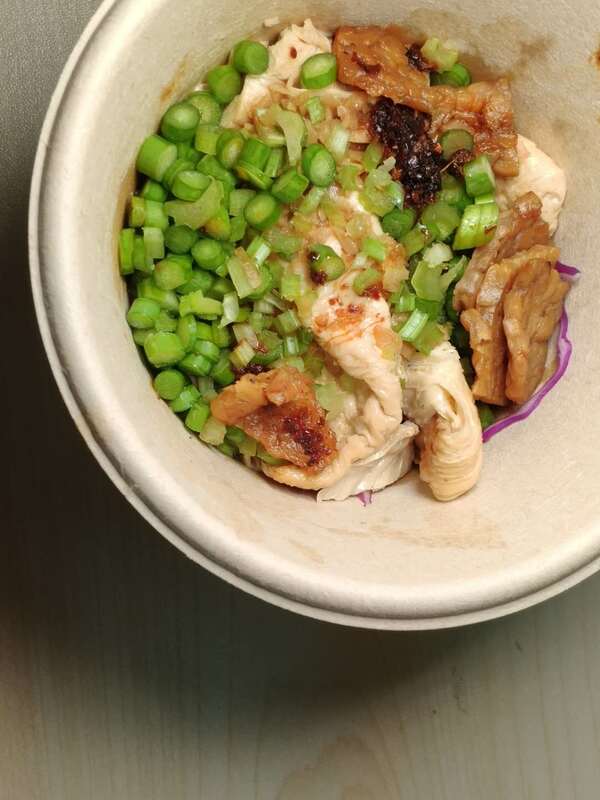 Gwen’s Jiang is a solid addition to the workplace lunch rotation if you live in the area, but I probably wouldn’t go out of my way to go there. I tried a vegetable chili, a vegetable soup, and a BiangBiang Bowl, which had tofu and tempeh in it. It was all warming and filling and as fiberous as you’d expect. Three giant dishes for under RMB100 isn’t too bad, and I could definitely see that vegetarian chili being something I’d actually order again. 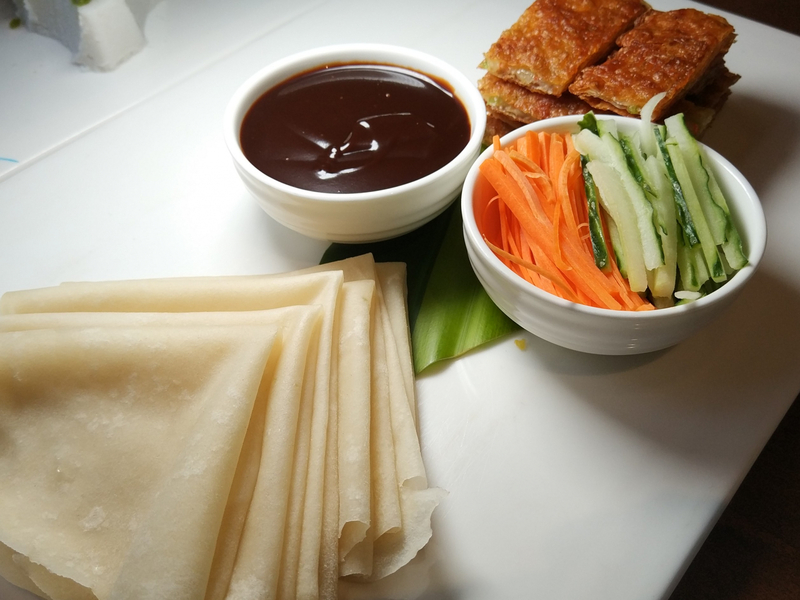 Just about everything on the menu was under RMB 50, and I appreciate that in a lunch spot. 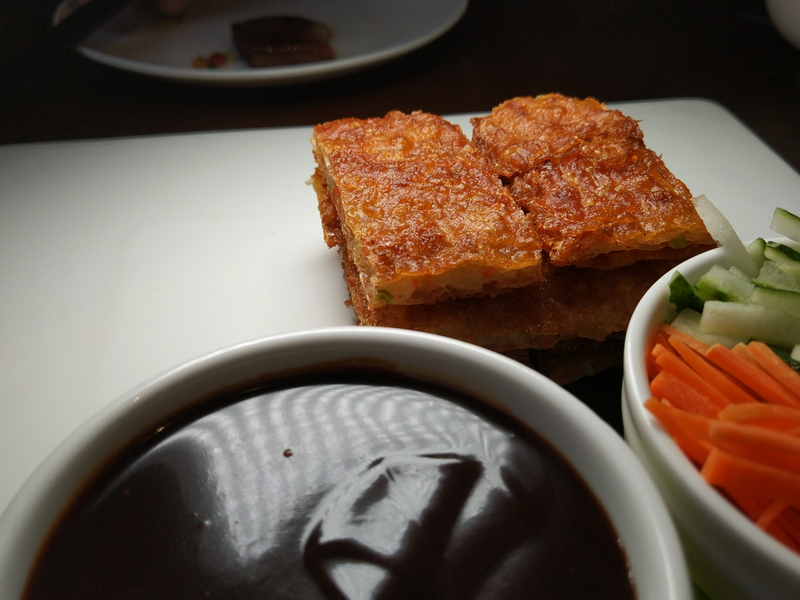 I hadn’t enjoyed tempeh since living in Indonesia, so that was a nice surprise as well! 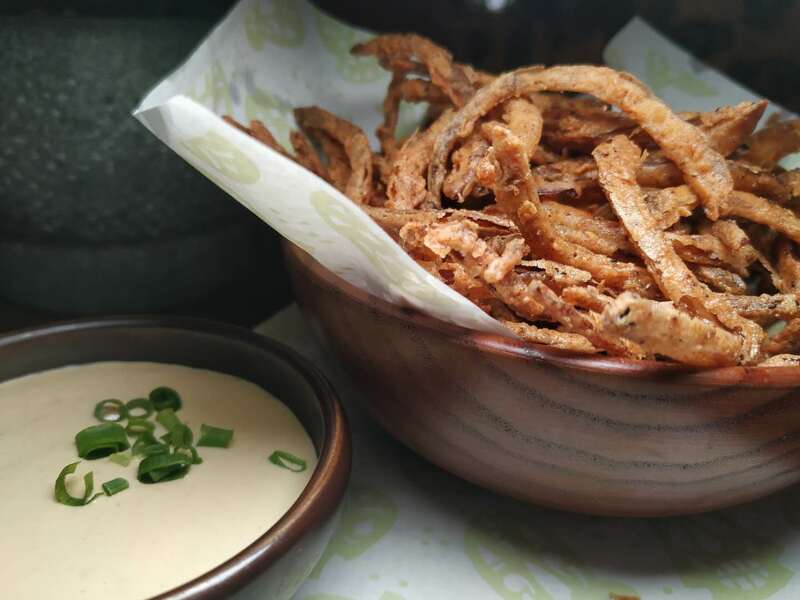 It’s definitely a healthier option in the area and good for leaving the meatier choices open for dinner. Overall, I think the little vegetarian spot was better than I expected, and I left feeling pretty full. 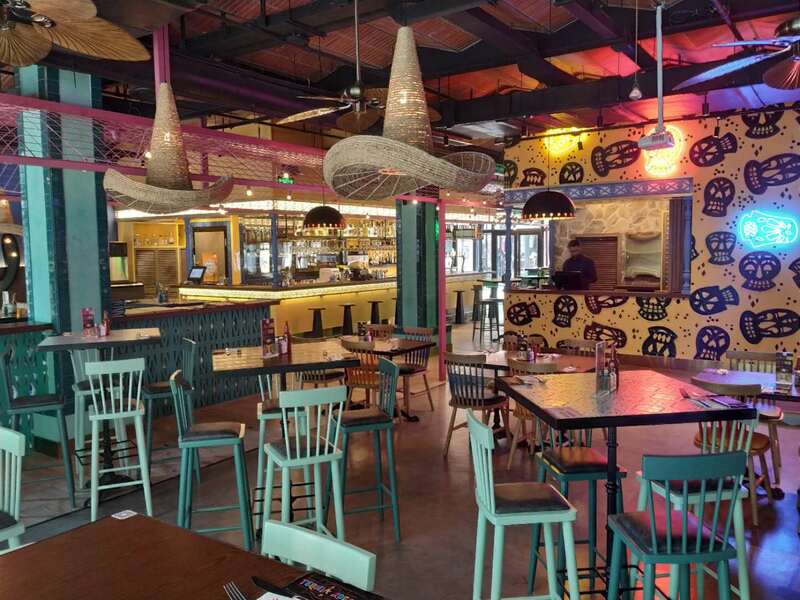 Tequila Loca is dressed for a party – dangling sombreros, neon skulls, a carnival colour palette. Surely there must be a party vibe there too, sometimes. We visited for a Saturday lunch, though, and it was dead to the extent that I nearly knocked another star off. 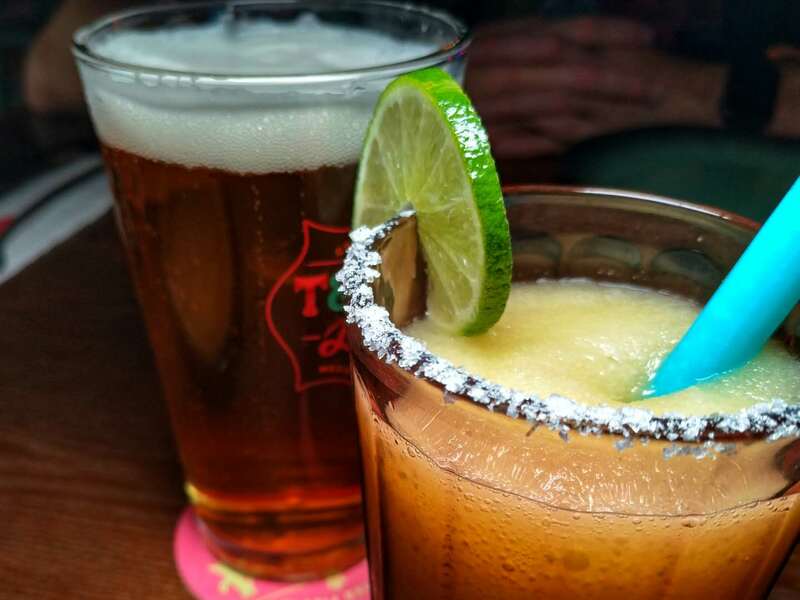 It’s a shame, because Tequila Loca’s Happy Hour is worth getting in for. Their half price offer means you can get a pretty great frozen margarita for 25rmb; there’s beer on offer as well. You’d be missing out if you only went there to drink, though. 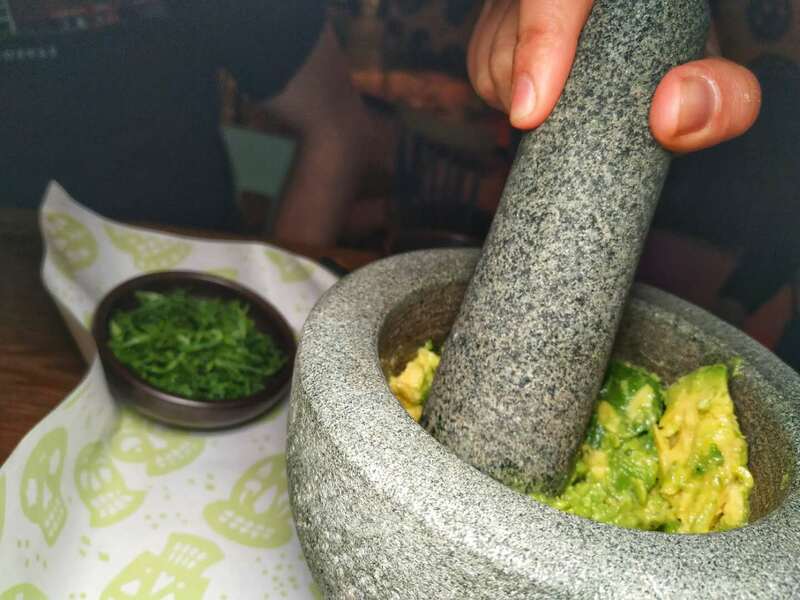 The guacamole is hand-pulverised at the table, which means that you can decide your own levels of limey sharpness, onion and cilantro (if any). 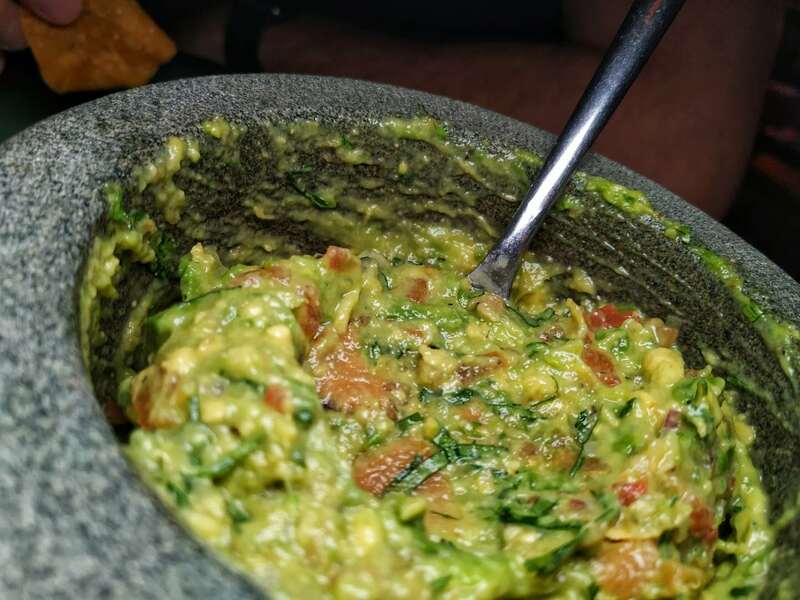 It comes with tortilla chips and a range of topping options, it’s priced from 70 to 90rmb (topping dependent), and it’s really satisfying. Even if you’re just drinking, it makes a godly bar snack, along with a portion of crunchy, salted onion threads. We got some tacos, too, which were hit-and-miss. 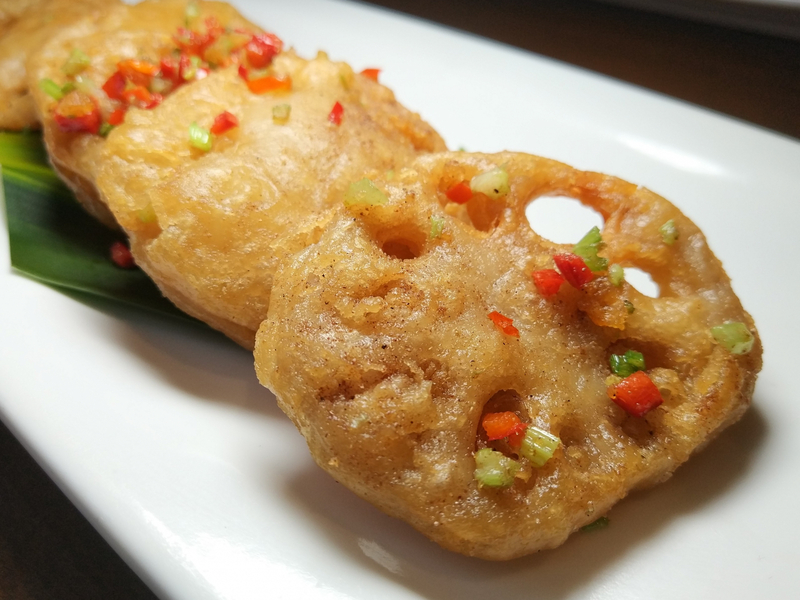 Gimmick or no gimmick, the tequila-battered sea bass is a little bundle of fun and happiness. The lamb is also good, but there’s only a single, half-hearted mushroom option if you’re avoiding meat. The chorizo was a little strange, too – there’s a melee of braised veg at the bottom that’s much more Chinese than Mexican in flavour. I also wanted much more heat. Heavier on the jalapenos please, TL. 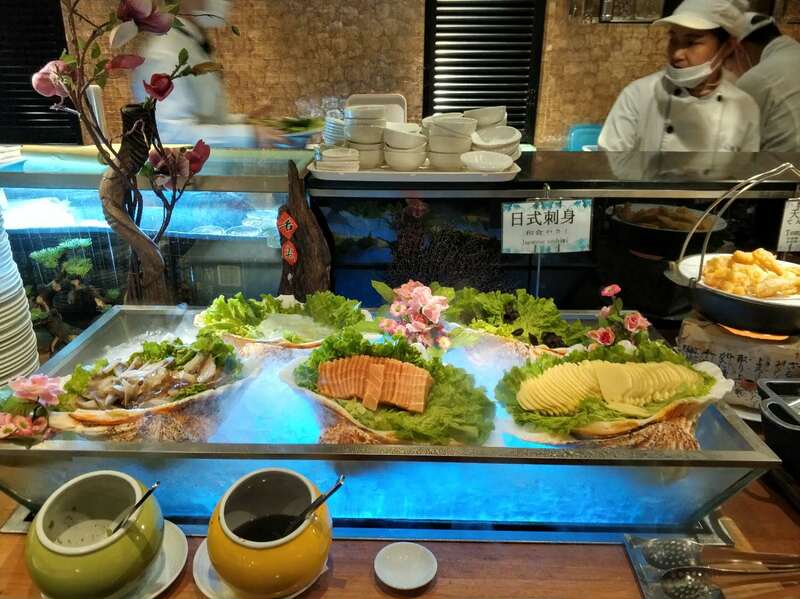 In total, our food and drinks for two cost around 220rmb. Tequila Loca is ideal for early evening drinks and casual grazing. 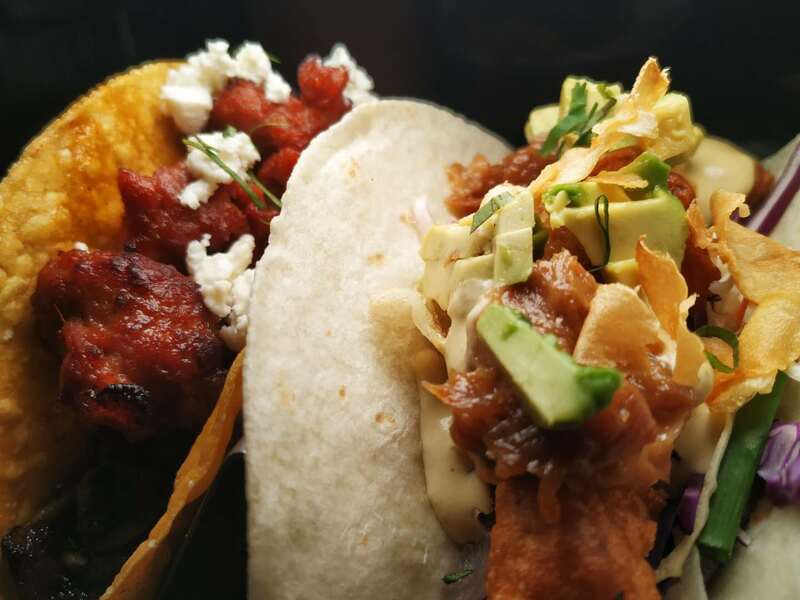 The snacks are the perfect accompaniment to your cut-price cerveza, and the tacos aren’t bad either. It won’t blow your mind, but you’ll probably leave satisfied. Open patio seating, check. Vintage wood panels, check. Pets allowed, check. 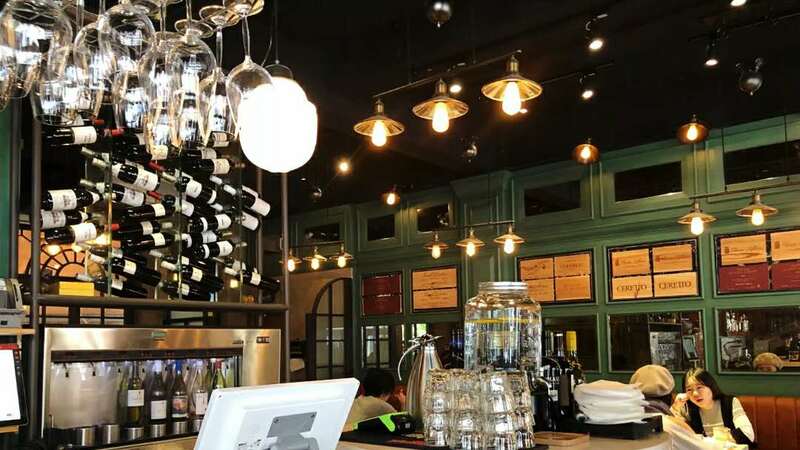 This café makes you do a double take and check that you’re still in Shanghai, and not in say, Paris. In all honesty, I only decided to pop in here because the line at the RAC Bar across the street is ridiculously long during the brunch rush hour. I came in not expecting much, and left Marienbad Café being right in that assumption. 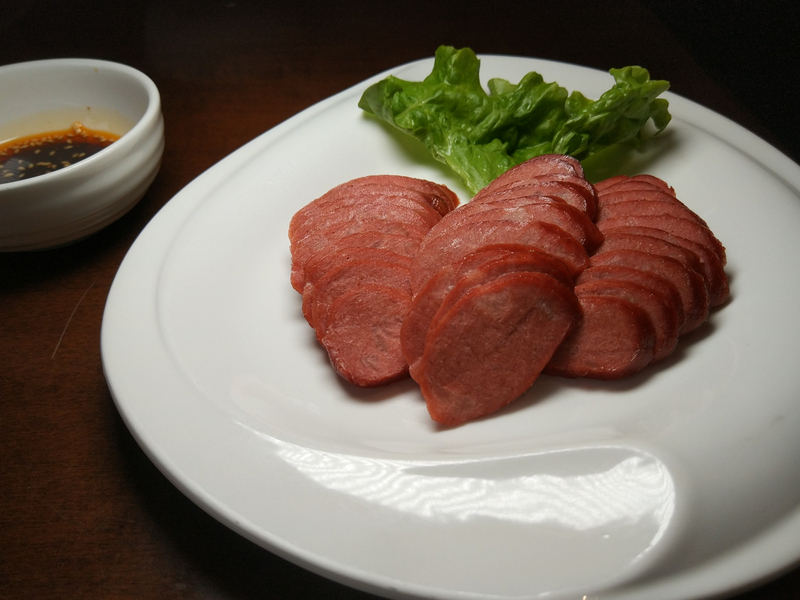 The 98rmb set brunch menu allows for a main dish along with a choice of a small side dish. 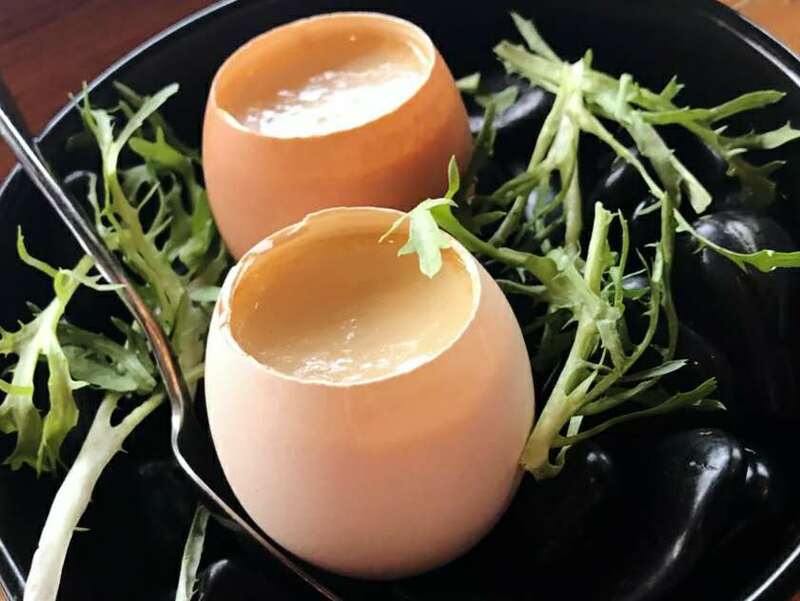 The starter steam egg custard was very appealing to the aesthetics- the egg custard is served inside a half-cracked egg shell laid out on some hot stones in a pan- and tasted fine for what it was. On the other hand, the main dish I ordered, the spinach egg panini, is just unappealing both to the eyes and taste buds. It was simply put, some sloppy eggs and spinach served on a bun, with a side of slightly cold and fishy tasting foie gras. 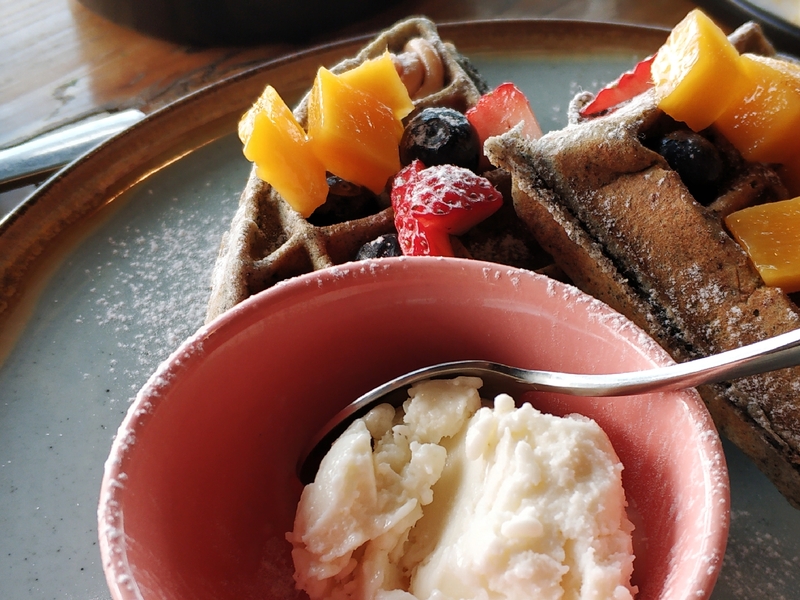 The waffle ice cream dessert was probably the best part of the meal, because ice cream and waffles are two very hard things to mess up. Overall, the place has a really nice vibe, with an open patio area for a great street view. 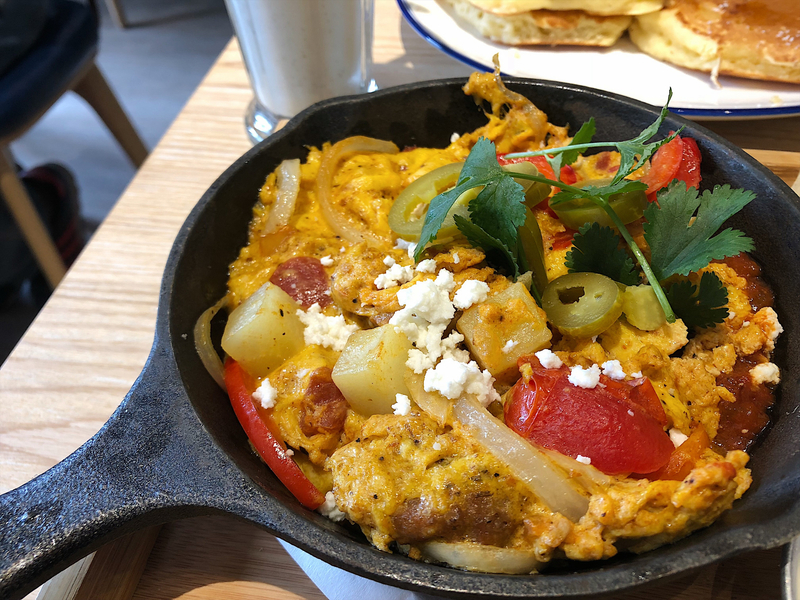 The food however is way less than spectacular, so grab a coffee and a window seat to do some reading, but don’t come here for a meal, because it is too pricey for what it's worth. Emily Gant has lived around the world in Ecuador, Chile, Indonesia and Tonga. She enjoys rooftop cocktails and showing up to events on time. Emily also does amateur stand-up comedy in Shanghai where she's funny 30% of the time.